For several years I've been writing reflections from the spiritual disciplines devotionals that I use during Ordinary Time (the time of the year that doesn't fall between Advent and Pentecost). 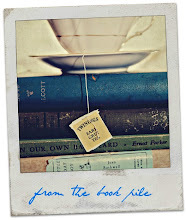 Some years I use the book Disciplines for the Inner Life by Bob Benson, Sr. and Michael W. Benson. 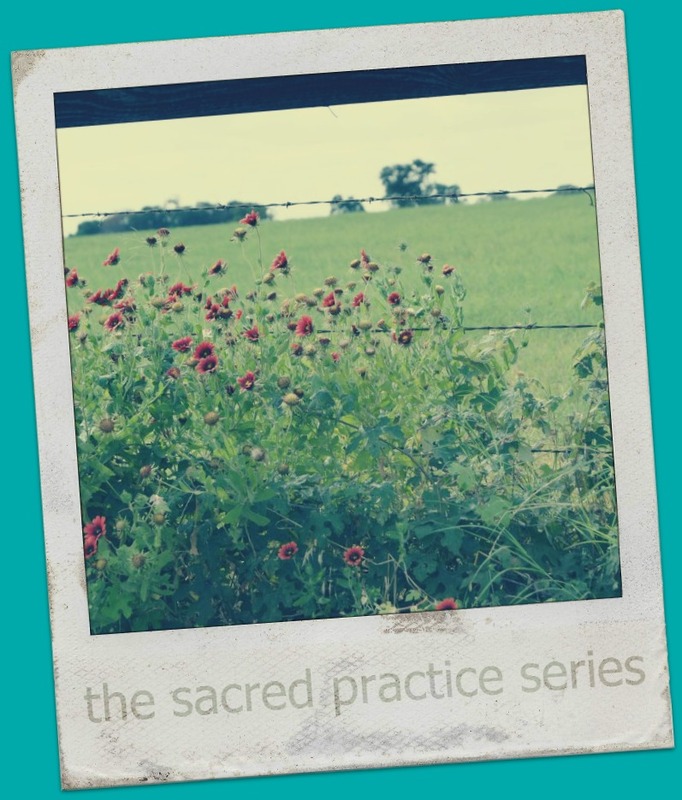 This year I'm using A Year With God: Living Out the Spiritual Disciplines by Richard Foster. I am no speed-reader, especially when my intention is to not just hear but do the words I'm reading. 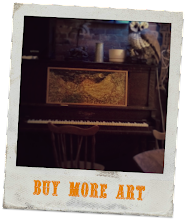 This means my written reflections pop up rather sporadically here, but my hope is to share something from the series with you at least once a month. 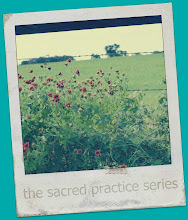 Since June I've been meditating the sacred practice of ordinary, everyday service. The devotional breaks this practice into two categories: serving God in every task and serving others rather than being served. A confession before you read further: I am a weakling when it comes to everyday service. There's a whole set of psychological reasons -- some rather legitimate -- I could give as rationale. At the end of the day, though, I don't like to do mundane, grubby work. Plain and simple. The purpose for this disclaimer is to say I've only just begun to learn what I'm about to share here, four practices of everyday service. My son Alex meeting his cousin Cade for the first time. The brilliance of our orderly God who thought of everything -- including forming entire Levitical clans solely for the work of carrying -- never ceases to amaze me. While the work of everyday, ordinary service extends far wider than the work we do in corporate worship, reading about this specially anointed tribe of Levites reminded me of people I've worked with in ministry in the past. In our former church building, the sanctuary and many other ministry spaces were built on as an extension to the end of a long, narrow former elementary school building, forming an "L"-shaped structure. At one end -- the top of the "L" -- was an attic one floor up and storage closets one floor down. Any time we needed to use an item from storage we had to walk as far as humanly possible and still remain within the building, load up our arms with all that we could carry and trudge back to our ministry spaces on the other side of the building. Each special event required whole teams of people just to carry items from the attic and basement: artwork, easels, supplies, candles, wreaths, boxes and boxes of fabric, furniture, props, benches, rugs, wood and metal. I was especially mindful of the sacred act of carrying watching a team of people work together each year lugging rugged crosses for our Good Friday exhibit. I saw them as a beautiful reflection of the suffering servant. In our current church, we do not own a building. Every Sunday teams of people arrive early and stay late to carry toys for the children's rooms, signs to the parking lot, candles, bread and wine to the altar. Every cross, every cable must be carried into the worship areas before service and then carried back out again every single week. This act of carrying for no other purpose but to serve others forms us into a the image of Jesus, the Servant of all. 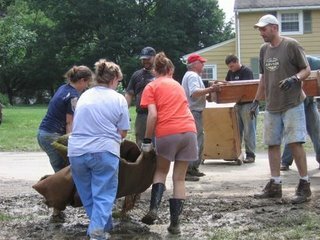 I also thought about the time, six years ago, we carried mud-logged boxes, furniture, carpets, books, toys out of flooded homes. We carried entire sepia-soaked neighborhoods, dumped them on street curbs. We carried stories and prayers for each neighbor we served. We carry spiritual and emotional burdens for each other, yes. It seems, though, that like the God-ordained calling for the ancient Levitic clan, the service of carrying required real sweat and muscle. There's nothing else quite like it to form humble servant hearts. We actively promote the good of others and the causes of God when we die little deaths in the service of carrying. I was brought up in a culture steeped in a timeworn practice to care for families of new babies, extend comfort to the sick, welcome new neighbors -- the liturgy of taking them a meal. In the past few years, I've gotten a bit sloppy in this act of service. I was re-membered into the liturgy; reminded by this very study that it had been too long. In a flurry of nostalgia, I set about the work of making two meals -- one for a friend ready to give birth and one ready to move. What started out in the morning as bright and noble intentions became a big, ol' reality check on my list of frustrations with myself. My cooking skills, organizational skills, even driving skills were tested so that any amount of warm fuzzes I'd hoped for at the beginning of the day fizzled into plain old humble service by the end of the day. Humility is a healthy side effect of ordinary service. Join a care team: Most organizations, churches, schools and workplaces promote community care through the efforts of some sort of care team, welcome wagon, community outreach committee. Volunteering in even a small way will keep your meal-making muscles healthy. We actively promote the good of others and the causes of God when we die little deaths in the service of making meals. "The sullen servant who does shoddy work will be held responsible. Being a follower of Jesus doesn't cover up bad work." If we're to take seriously Pennington's flowery exhortation we'll remember that our work is "meaningful" and "affords to serve and give joy to others." Depending on where you spend your working hours, this may be easier to recognize for some more than others. A new friend of mine told me recently, over coffee and with a sparkle in her eyes, "I love my job." She told me about one of her first weeks at work, being the only hospital staff available to greet a pregnant woman in the parking lot for her emergency delivery. Because she did her job well a woman and her baby stayed alive. But what if your job is cleaning warehouse bathrooms during the middle of the night? How meaningful is that? Somehow in God's service economy -- God's good gift of work -- He receives pleasure from our vocational skills. Paul reminds us that our Master, Christ, will see our work and reward us well. This topic of work could fill up hundreds of posts. As every other good gift from our Creator, we've treated this ability to do meaningful work haphazardly far too often in both recent and ancient times. Certainly, discovering our own special strengths and pursuing work that makes the best use of our passions is an ideal most of us pursue. In that pursuit, it'd be good to remember Paul's words to the Colossians are targeted toward a demographic of workers who had no say at all in their work, slaves. For now, for me, I need to embrace God's gift of work. When I energetically, cheerfully join His great service economy I become part of His work to transform the whole creation, including my own self. Do what no one else wants to do: Every workplace has its own "dirty work" no one wants to do (cleaning the dirty coffee mugs in the office kitchen comes to mind). Make an effort to do that work, unnoticed, on a regular basis. Get good at what you do: Look for ways to re-energize your normal work rhythms. Where can you improve your skills and enthusiasm? We actively promote the good of others and the causes of God when we die little deaths in the service of our work. I have spent more time as a wife and mother protecting myself from being used up by the needs in my home than as a woman who lives in response to the grace of God. To be kind to myself, I started out young and unprepared for all the work four kids in my first six of years of marriage would require. Sometimes I responded to this reality out of fear, acting like a control freak against mess and chaos. Other times I responded with selfish preoccupation as if my family were out to take advantage of me and I needed to keep myself at a distance from their needs. I am sad about all the days I've not served my family well. I am glad for the grace of God that is never used up, never kept out of reach, never given with strings attached. I'm grateful for this bonus year I've been given to spend intense amounts of time trying to make a comfortable, happy home for my family. In the meantime, I'm trusting the God who makes all things new to give me decades more opportunities to serve my family and my home as a grateful response to the generous grace of God. Give up martyrdom: Refrain from complaining -- outwardly or inwardly -- about serving my family. Instead practice gratitude for all the goodness each need represents. Learn how to do daily tasks with more awareness. For example, find out the best secrets for getting a sink shiny clean and take pleasure in the finished product. Pay attention to the sensory details of mundane tasks (the warm suds of dishwater, the lemony smell of cleaner, the churring sound of a working washing machine). We actively promote the good of others and the causes of God when we die little deaths in the service of making home. Share your story. What practices do you use to die the little deaths of ordinary service? What practices do you need to develop to promote the good of others and the cause of God through ordinary acts of service?